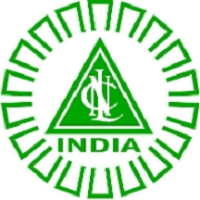 Browse » Home » Neyveli Lignite Corporation Limited Recruitment , NLC Recruitment 2018 – 150 Graduate Executive Trainee through GATE 2018 Score » NLC Recruitment – 150 Post - Graduate Executive Trainee through GATE 2018 Score. NLC Recruitment – 150 Post - Graduate Executive Trainee through GATE 2018 Score. Neyveli Lignite Corporation Limited invites Application for the post of 150 Graduate Executive Trainee through GATE 2018 Score. Apply Online before 27 January 2018. NLC Selection Process : Selection Will be based on merit based on the marks scored by them (out of 100) in GATE-2018 & Personal Interview. Application Fee : UR / OBC Candidates have to pay Rs.300/- through Online using State Bank Collect facility available at www.onlinesbi.com. How to Apply : Interested Candidates may apply Online through the Website https://www.nlcindia.com from 06.01.2018 to 27.01.2018.